One Shots: Welcome to the party, pal! 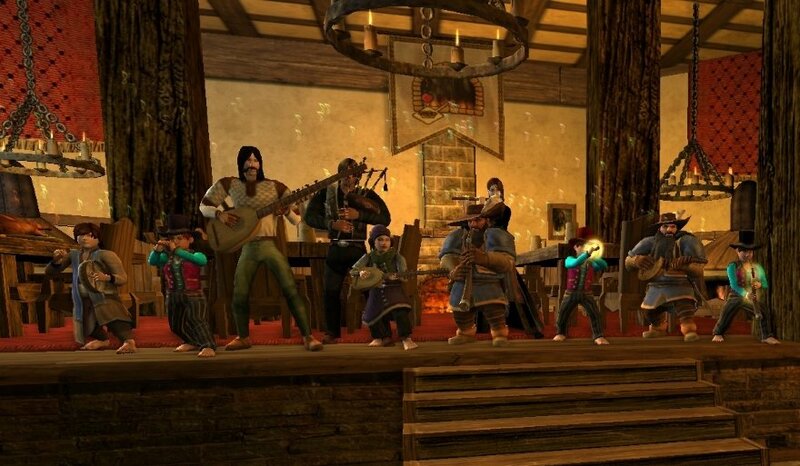 “You have to love randomly running across a band when you enter a building in Bree,” reader Yrys said in conjunction with this picture from Lord of the Rings Online. I have to agree. Players congregating to perform music, put on plays, referee games, or otherwise doing mass social activities that aren’t revolving around murdering giant beasts always brings me to a screeching halt in MMOs, for these are almost always worth checking out. It’s a virtual party today in One Shots! Grab some of those delectable colors, take a tall drink of perspective, and party like it’s 1999 and there are only three MMOs on the market! 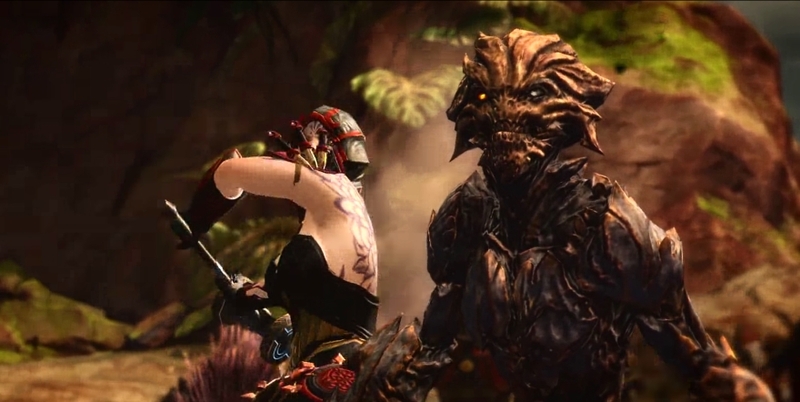 This next shot might be from Guild Wars 2’s new expansion, Heart of Thorns. Isn’t that one of the new Mordrem bad guys? If not, my apologies. He doesn’t look very friendly in any case. “Um, you might want to turn around!” reader Siphaed warns. That’s how I live my life, honestly. I never turn around. Gets me into a lot of accidents. 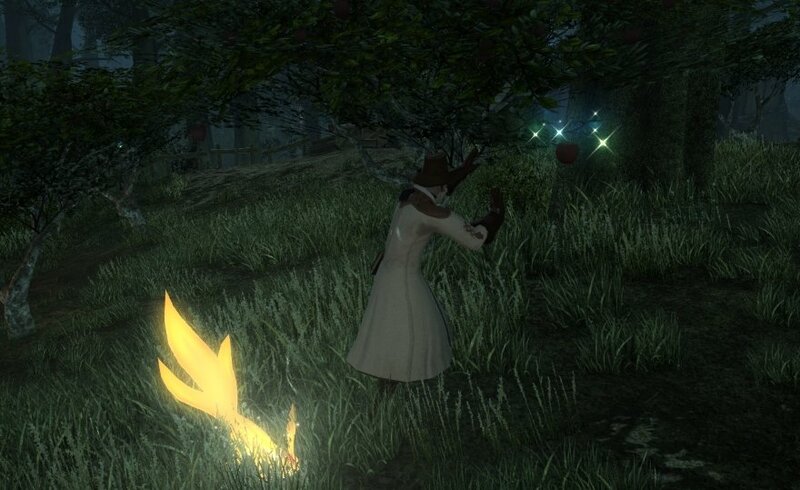 A while back I issued a screenshot challenge to show your character performing emotes, and reader François stepped up to meet that exhoration with this Final Fantasy XIV picture. I don’t think it’s boring at all — quite beautiful, really. Do you agree? I got a kick out of reader ManastuUtakata’s rant about so-called “nightmare” creatures in the comments a couple of weeks ago and chose this picture of some scary moppets as our It Came from the Comments! winner this time around. While I’d like to be able to issue a new screenshot challenge this week, it’s my sad duty to report that the queue of submissions is… completely empty. Seriously. Like bone dry. So if everyone reading this can submit at least one screenshot and a story, you would collectively fill my inbox to overflowing! Follow the directions below. 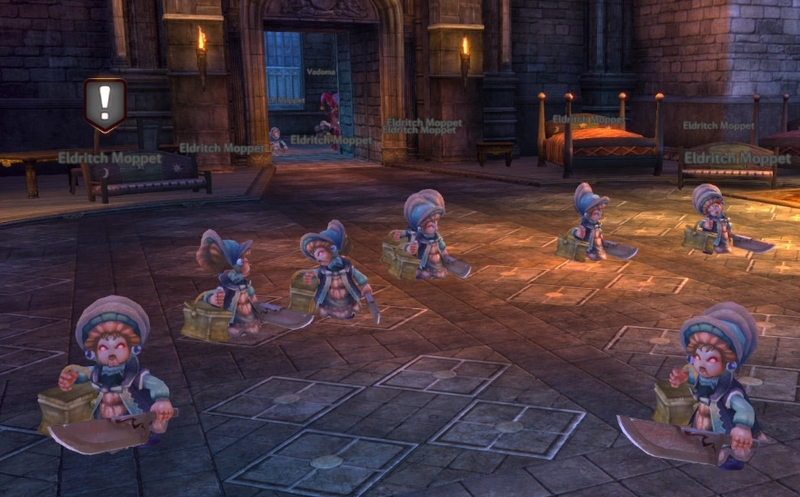 Previous articleThe Daily Grind: What MMO do you doubt you’ll ever play? Next articleThe MOP Up: All news must go! Syppi ZenJitzu Ah, okay, guess if I ever have any up, I can post the full-size versions in the comments. Will submit at 880 and save you some effort, then! Thanks for the reply! ZenJitzu It might be possible to throw them into a gallery with larger sizes, but for what we post in the column they have to be 880 exactly (we ask for 880 or greater so I can resize down if need be). ZenJitzu Zulika_Mi_Nam Ah – never noticed that. I have submitted normal ones before, maybe Justin crops/reduces them though. Zulika_Mi_Nam ZenJitzu Right, but when you click on the shot, they just enlarge to 880px size maximum…all of them. Was just wondering if they could be original submitted size. ZenJitzu Make sure that the picture is over 880px wide and comes with a description or story! – I think 880 is a minimum and not a maximum. Hey Justin, if you’re receiving images larger than 880px wide, is there any reason the link can’t just go to the larger screenshots? I wouldn’t mind throwing some of these into my screensaver/wallpaper folder or even just to see some of the details, but 880 just seemed arbitrarily limiting, since they link to a separate image anyway. Unless you’re on a smartphone, I guess. I’ll have to start digging through mine for any beauty shots since you’re short on ’em. Thanks for keeping this column alive! Damonvile I put 21 hours into SCL over the weekend – I guess I like it. Screenshot flood will commence. It’ll be a screenshot fireball. A screenie-doken, if you will.